Here is an absolutely gorgeous 3 bedroom, 2-1/2 bathroom home on a large wooded lot in the Evenson Oak Mountain area. 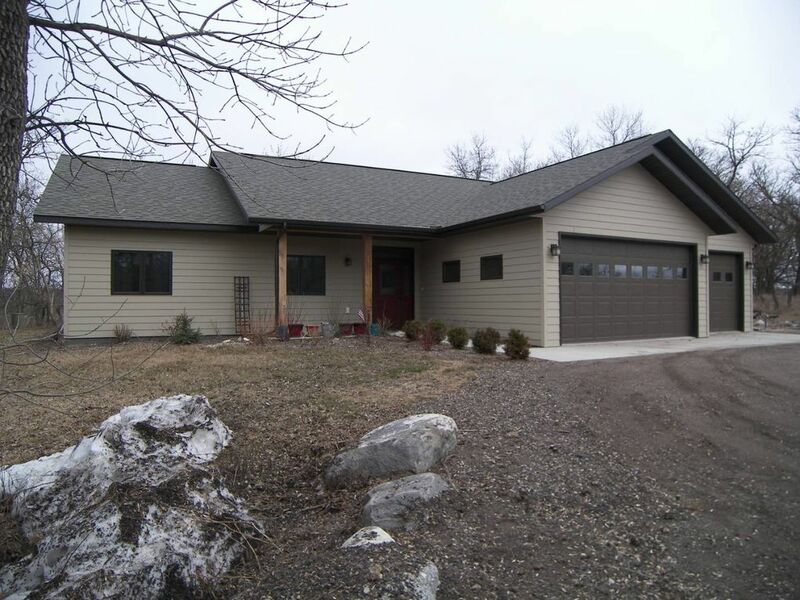 This beautiful home was built in 2015 & it is situated on 7.82 acres of land. This property is all on one level & it features hardwood & tile floors throughout. The immaculate kitchen has granite countertops, knotty pine cupboards, stainless steel appliances, & a peninsula countertop with seating. The dining room has a bay window & patio door access to the covered cement patio & backyard. The living room is large & inviting & it features a propane fireplace as a lovely focal point. The master bedroom has a walk in closet & a master bathroom complete with a tub & a separate shower. This property also has a huge 3 stall insulated & heated garage as well as central air. This place is turn-key ready & it looks phenomenal! Call us today!